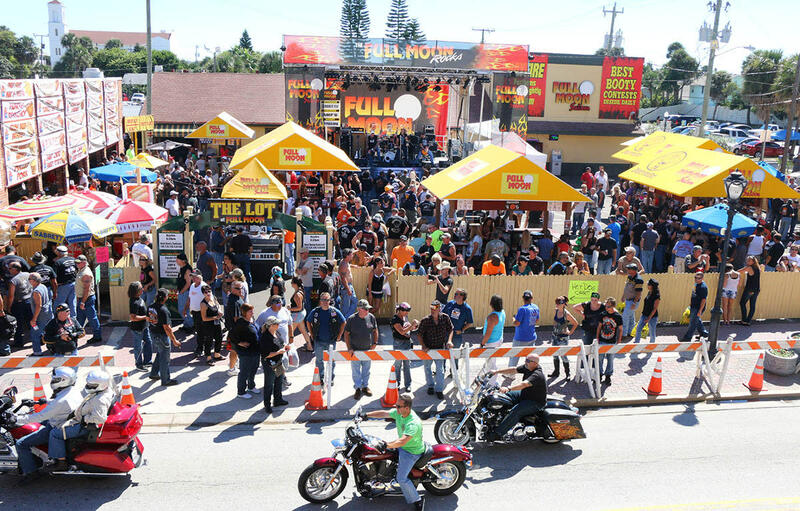 The Full Moon Saloon is located in the 700 block of Main Street-the heart of Daytona Beach and home of the famous Bike Week and its fall equivalent Biketoberfest®. It is also only a short walk from the Ocean Center and Peabody Auditorium. 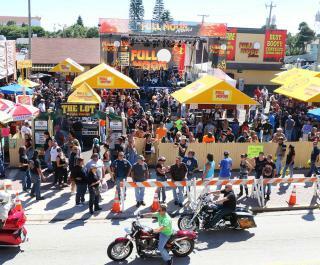 The Full Moon Saloon is also the scene for several smaller festivals and block parties throughout the year including New Year's Eve, Original Music Fest and July 3rd. Main Street is closed to traffic, the stage and bars are set up outside, fans stroll the street enjoying the entertainment.